And indeed it has. Marcellus Shale Coalition (MSC) president David Spigelmyer explained that there have been over 10,000 unconventional wells drilled in Pennsylvania, with over 8,200 of those now in production. 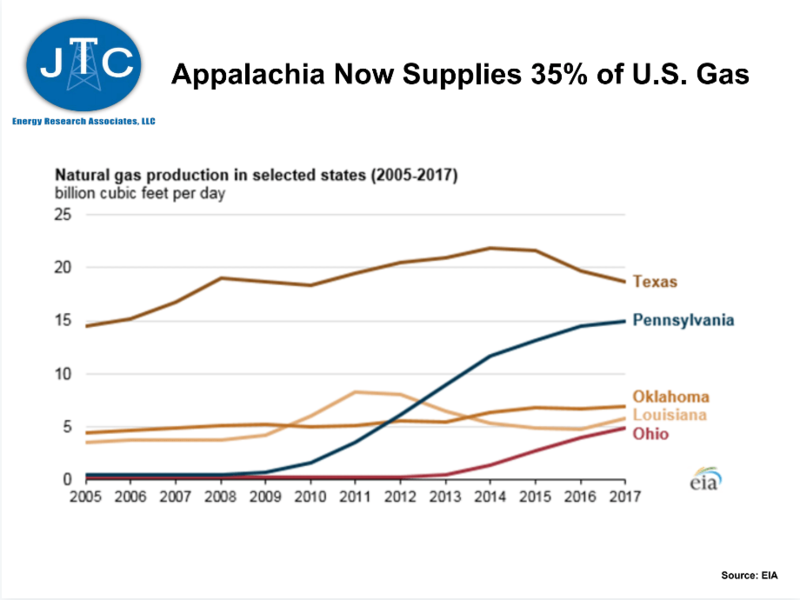 Those wells produced about 5.4 trillion cubic feet (Tcf) of natural gas in 2017, and the Commonwealth is currently producing more than 15 billion cubic feet (Bcf) of natural gas every single day. 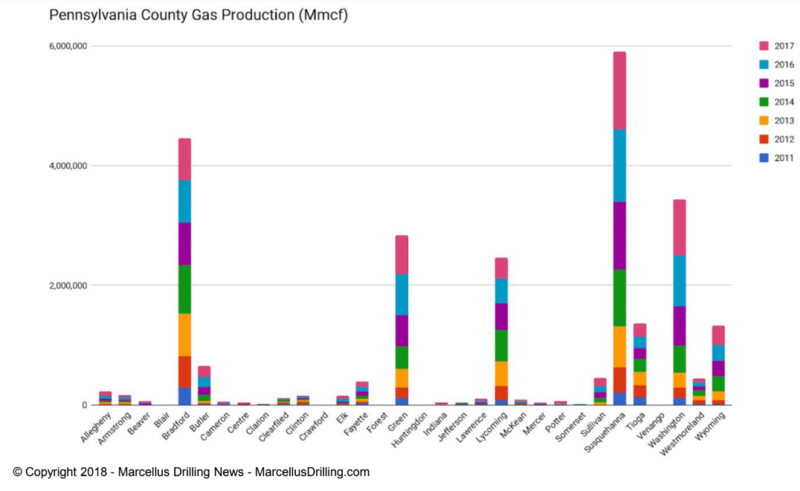 Marcellus Drilling News’ Jim Willis shared that Pennsylvania’s top producing counties are Susquehanna, Bradford, Washington, Greene and Lycoming, while Chesapeake Energy, Cabot Oil and Gas, Range Resources, EQT and Southwestern Energy are the Commonwealth’s top producing companies. 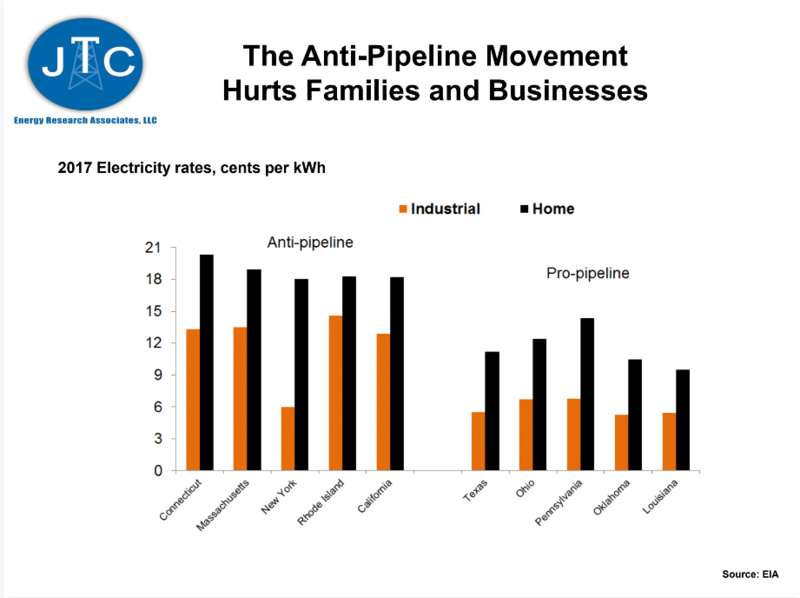 To give perspective on just how much gas these companies are producing, Cabot’s Director of External Affairs George Stark explained that his company will increase its production from 2 Bcf per day to 3 Bcf every day when the Atlantic Sunrise pipeline comes online later this year! 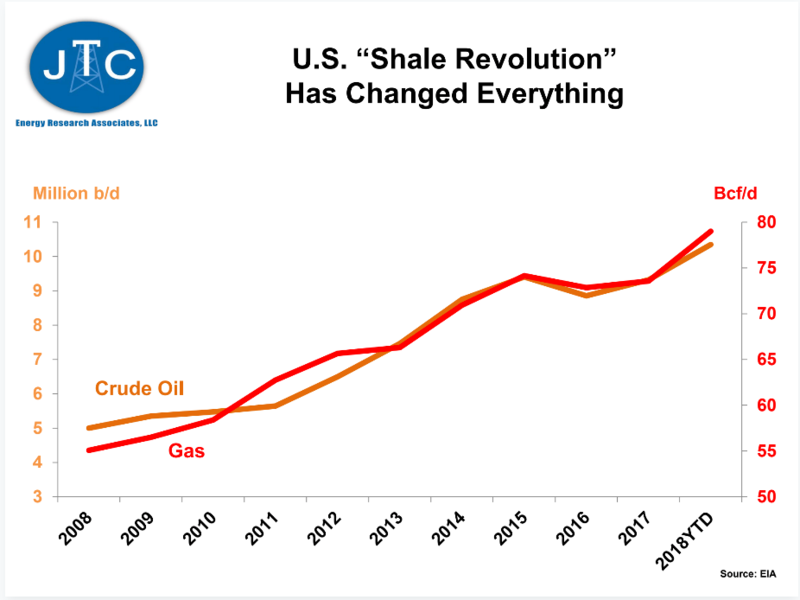 With the estimated $219.4 million impact fee disbursement that will be distributed over the summer, the shale industry will have paid over $1.5 billion in impact fees since 2011. Seneca Resources’ Rob Boulware explained that for every well drilled, his company spends about “$47 million buying goods and services from businesses in Pennsylvania.” And Stark described how Cabot has paid over $1 billion in royalties to property owners in Susquehanna County, in addition to other investments the company has made in the community. 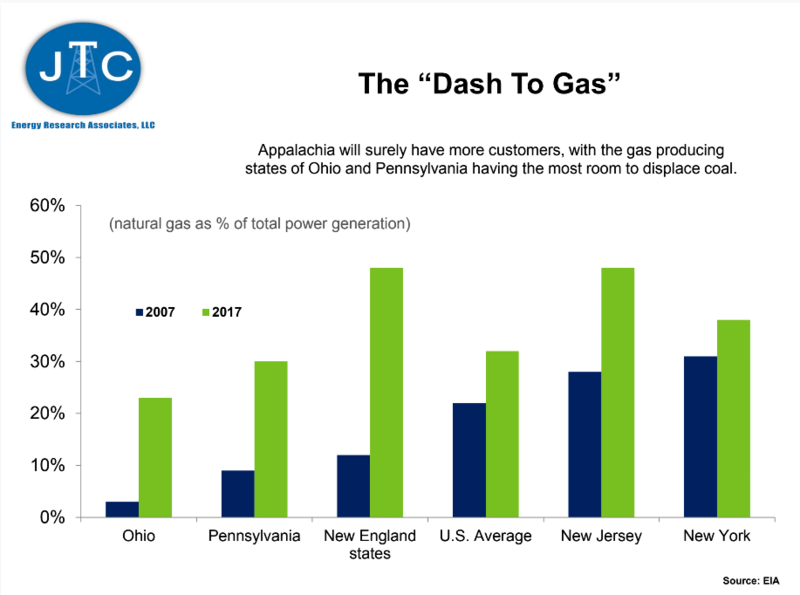 The increased natural gas-fired electricity being generated in the Northeast is another notable end-use benefit of Marcellus shale development. As Willis discussed, about 21 of the total 32 gigawatts of planned new U.S. electricity generation slated for 2018 will be gas-fired, with about 43 percent of that new natural gas-fired electricity located in the Marcellus-Utica region. This continued increase in natural-gas fired electricity generation has led to the cleanest air the country has seen in decades, as Clemente discussed in his presentation. As Clemente explained, both New York and New England will need pipelines to meet growing natural gas demand. Spigelmyer further illustrated this fact by noting that New York City consumers were paying $175 per MMBtu in January at the same time Pennsylvanians were paying less than $5 per MMBtu.